Shekhar Gupta, the founder and editor-in-chief of the news website The Print, and the president of the Editors Guild of India, tweeted on 26 May, “Since you asked: 1st, my personal (editorial) view. I do not accept stings as journalism. It’s a publicly explained view. The Print’s Code of ethics firmly bars stings, pl check the link. The code at IE barred stings too & I presume it hasn’t changed. Shekhar Gupta, the founder and editor-in-chief of the news website The Print, and the president of the Editors Guild of India, tweeted on 26 May, “Since you asked: 1st, my personal (editorial) view. I do not accept stings as journalism. It’s a publicly explained view. The Print’s Code of ethics firmly bars stings, pl check the link. 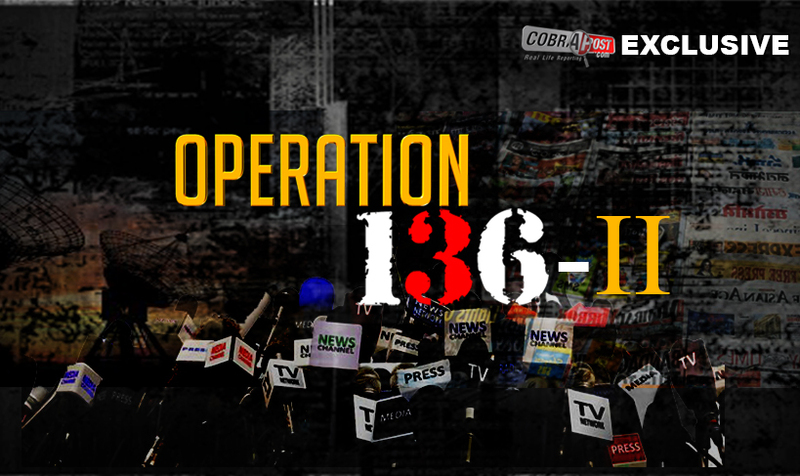 The code at IE barred stings too & I presume it hasn’t changed.” He was responding to Yogendra Yadav, the national president of Swaraj India, who urged Gupta, and other editors of national news organisations, to speak up about “Operation 136: Part II”—the second part of a sting operation by the investigative news website Cobrapost, which was published the previous day. 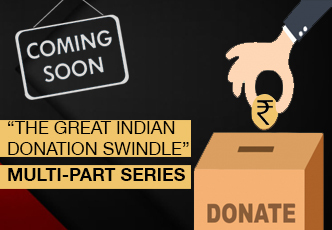 The Cobrapost investigation looked into paid news items, and showed how dozens of media houseswere ready and willing to push a Hindutva agenda on their official platforms in exchange for large sums of money. Shekhar Gupta’s tweet was disingenuous to say the least. To put things in perspective—as recent as May 12, The Print carried a story on a sting operation in which B Sriramulu, a member of the Bharatiya Janata Party, was seen allegedly negotiating a bribe with PV Sreenijan, the son-in-law of the former chief justice KG Balakrishnan. The Print reported that the “purported sting operation showed BJP candidate Sriramulu trying to facilitate a deal with a relative of then CJI Balakrishnan on behalf of the Reddys of Ballari.” The sting, released by the Congress ahead of the Karnataka assembly elections, was not even conducted by a media platform. Yet The Print’s story casts no comments on the motives of the people who conducted it, or the ethics of the sting operation itself. In March, The Print reported on the British news organisation Channel 4’s sting operation on senior executives of the political consultancy company, Cambridge Analytica. The report noted that the company’s board had suspended its chief executive officer, Alexander Nix, “after he was shown on video discussing entrapping politicians with bribes and prostitutes and spreading disinformation.” In fact, the tag for “Cambridge Analytica” on The Print’s website shows 19 stories related to the firm, none of which concern the ethics of Channel 4’s decision to use hidden cameras. This is not to question whether Cambridge Analytica was a story worth pursuing—of course it was, especially their activities in India. But it appears that a British company promising to fix elections in Sri Lanka—as revealed in Channel 4’s sting—is of greater news value to Gupta than mainstream TV channels and newspapers doing the same in India. The hidden cameras used for Operation 136: Parts I and II revealed what 43 Indian news platforms, television channels, print publications, radio and online media, were prepared to do in return for compensation from a fictitious religious organisation, including peddling Hindutva ideology, defaming political rivals, and polarising the electorate. It is also important to note that the implications of the activities that these organisations were willing to undertake goes beyond just paid news—polarising the electorate and defaming political rivals has criminal connotations. The individuals caught on camera agreeing to these activities were senior sales and management personnel, and in many cases, the owners of the concerned media organisations themselves. It would be surprising if organisations of similar status could survive a story like Operation 136 in a Western liberal democracy. For instance, the British media baron Rupert Murdoch had to shut down his 150-year-old tabloid, News of the World, after an investigation by Scotland Yard showed the connivance of the tabloid’s senior management in incidents of telephone hacking involving the British royal family, among others. But this is India, and we specialise in going after the messengers instead of the message. The newspaper had then claimed that Judeo had been caught on camera accepting “if a video CD tape made available to The Sunday Express is to be believed.” The implication of the same of appears to be that the authenticity of the video was not confirmed at the time the transcripts were published, though Gupta in a later interview to Outlook magazine noted that the video had been put through “due reportorial rigour.” The Outlook report also noted that the newspaper insisted that “the source of its report is of marginal importance.” The Indian Express exposé was published less than two weeks ahead of Chhattisgarh’s assembly elections. In the CBI investigation into the corruption allegations, which led to Judeo’s resignation from the position, the agency filed a chargesheet against Judeo and five others, including Amit Jogi, the son of the then chief minister Ajit Jogi, for allegedly orchestrating a criminal conspiracy to conduct the sting and ensure his father’s success in the ensuing elections. Judeo died during the pendency of the case, in 2013, and in April 2016, a Delhi court acquitted all the accused persons. In April 2011, another CD mysteriously arrived at Gupta’s doorstep at the Indian Express, in which the senior advocate and former law minister Shanti Bhushan could purportedly be heard speaking with Mulayam Singh and his then aide Amar Singh, about the senior advocate Prashant Bhushan being able to “manage” a judge. The paper broke the story on the scandal. That month, Shanti Bhushan filed a police complaint stating that it was a “fabricated CD” and that he had never had “any conversation” with the two politicians. Subsequently, the Delhi Police has reportedly noted that two different forensic analyses have shown conflicting results about the authenticity of the CD. 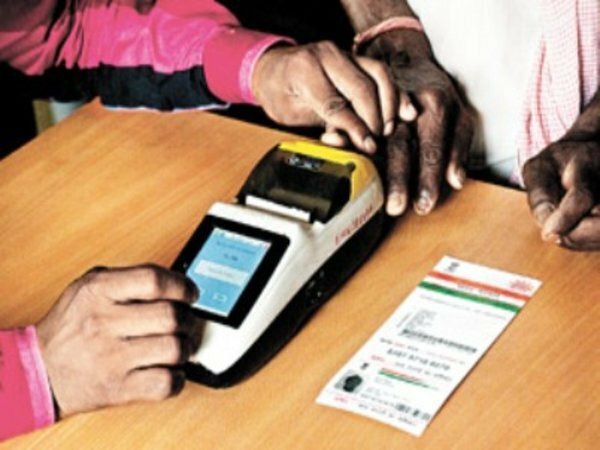 But the Delhi Police has also failed to comply with a November 2011 order passed by the Central Information Commission directing them to make these reports public. It is evident that Gupta is happy to report on CDs that the cat drags in, but when a media platform such as Cobrapost investigates and takes ownership over the story, he appears to have several problems. It almost seems like Gupta has access to Papal holy water and if he but sprinkles it on any CD that reaches him, by “mail” or otherwise, its contents meet his own journalistic standards. But Cobrapost, with no such access to holy water, has to suffer his sermons on ethics. Incidentally, it would be interesting to know if he gave any such sermons at the integrated news desk of India Today Group, where he served as the editor-in-chief for a brief period, from June to September 2014, and thereafter continued in an advisory capacity as an editorial director. 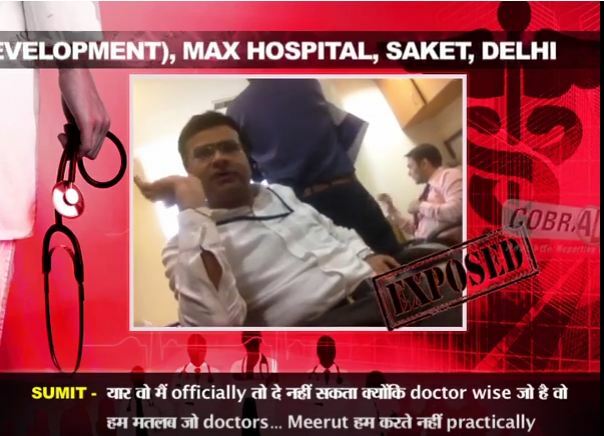 Over the last two years, several news organisations have carried stories using a hidden camera, including over 70 stories by the India Today Group itself. On the other hand, Cobrapost has run just six. Gupta did not speak out against these organisations—in fact, he publicly endorsed the sting operations on Twitter on multiple occasions. In June 2016, when the journalist Rajdeep Sardesai tweeted about a sting operation aired by India Today regarding alleged offers of bribes in relation to the upcoming Rajya Sabha elections, Gupta responded to the tweet commenting on the politicians: “They still keep getting caught in sting also tells you how stupid the political class is. Or, they don’t care.” Gupta made no observation regarding the journalistic ethics of India Today in broadcasting the sting. Similarly, in October 2016, CNN News18 carried reports about a sting operation on a Pakistani superintendent of police who confirmed that India had conducted “surgical strikes” along the Line of Control on 29 September. “Reassuring @CNNnews18 sting on Pak SP,” Gupta tweeted. This is particularly noteworthy in view of the fact that Pakistan had claimed that the sting operation was “forged” and a news report questioned the veracity of the News 18 sting. Indeed, Gupta’s sermons on ethical journalism appear directed only at Cobrapost. Cobrapost, since its inception 15 years ago in 2003, has been doing what the mainstream has been unable to do—bring out the untrammeled truth in all its ugliness. In order to do so, we have used hidden cameras, and quite often, in partnership with mainstream channels. Our reporters have done scores of investigative stories, many a time in situations that could have proven perilous to their personal or professional lives. A quick recall of some of these stories would highlight the importance of some of the sting operations that Cobrapost has undertaken. In December 2005, Aaj Tak broadcast “Operation Duryodhana”—a joint investigation with Cobrapost in which the reporters caught 11 parliamentarians on-camera accepting money for raising questions in Parliament. The report led to the expulsion of all 11 members from parliament, which was later upheld by the Supreme Court in 2007. During March to May 2013, Cobrapost released three parts of its investigative story, “Operation Red Spider,” which exposed major public and private banks that were willing to launder unaccounted cash for a fictitious politician. In July that year, the Reserve Bank of India imposed penalties on 22 banks, including ICICI Bank, HDFC and Axis Bank, for violating Know-Your-Customer norms and anti-money laundering guidelines. 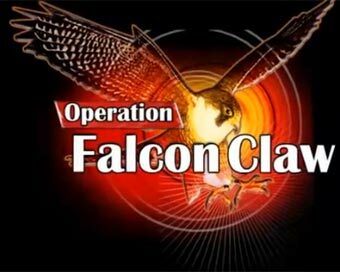 In December 2013, the “Operation Falcon Claw” investigation exposed 11 MPs from the Congress, BJP, BSP, JDU and AIADMK, who were willing to issue letters of recommendation to promote a fictitious Australian oil exploration company in exchange for fees ranging between Rs 50,000 and Rs 50 lakh. Six of these MPs even wrote the letters for a fee. In April 2014, Cobrapost’s “Operation Janmbhoomi” established the fact that the demolition of the Babri Masjid in 1992 was the outcome of a planned sabotage. The investigation exposed many important characters who were part of the conspiracy, with a thread connecting the tacit support of the then prime minister PV Narasimha Rao to the act. 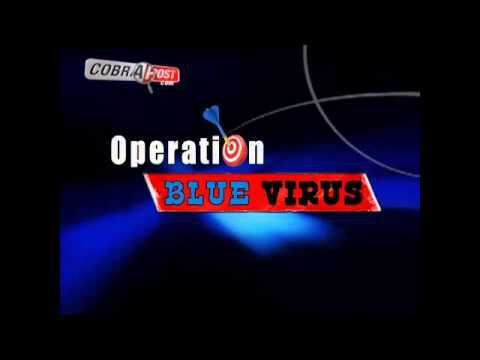 In “Operation Black Rain,” which Cobrapost published in August 2015, the investigation recorded the confessions of perpetrators of six major massacres of poor, unarmed Dalits in central Bihar. It revealed how the Ranveer Sena, an upper-caste militia in Bihar, planned and conducted indiscriminate killings in the late 1990s, who trained them, who armed them, who financed them and who lent them political support. The story led to an outcry across the country seeking justice for the victims of these killings. In July 2016, Cobrapost published “Operation Shuddhikaran”—an investigation that revealed the RSS’s covert agenda of proselytisation. It noted that the Sangh, through its well-entrenched network of pracharaks, lured kids of poor Assamese tribal families in the name of providing them education, and then converted them to Hinduism. A small media non-profit is an easier target than a big media conglomerate. The concerns of ethics appear to be conveniently timed to the significant Cobrapost sting operation, but not so with other similar stories. It’s a spurious debate. It’s just another news angle to chew a particular story from and for some also an angle to run a story down and try and sermonise. This leads us to the statement that the Editors’ Guild of India issued on May 31. 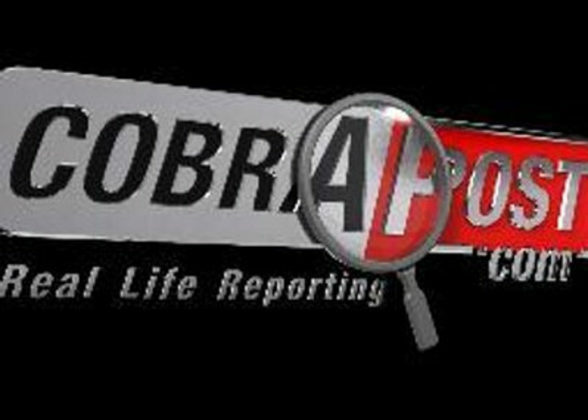 Expressing its concern over Cobrapost’s expose, the Guild exhorted media organisations “to explain their conduct to their readers and the public at large.” The guild maintained that it could not ascertain the veracity of the tapes. The statement in itself looks qualified, as it does not name or condemn the media houses exposed in the story. It does not even seek to represent the interests of Editors, behind whose backs proprietors and managers are swinging partisan deals. In fact, the statement is so general, it could well have been issued on any other day, to any other story, by any other organisation. But true to form, the Editors Guild cannot prevent itself from issuing a sermon on the ethics of sting operations. Little realising that its president is a past master at it, and a more than active ambassador of its use at present—as long as it is done by somebody other than Cobrapost, preferably British.